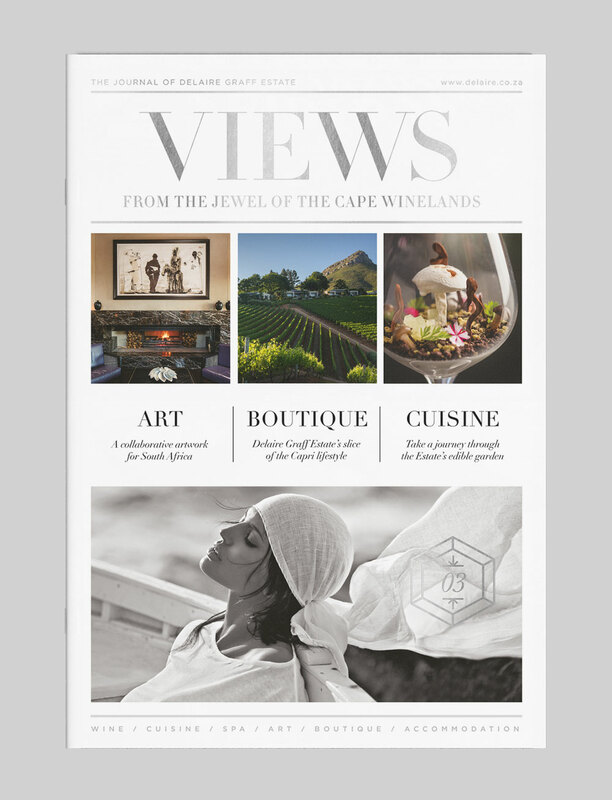 Luxury wine estate and hotel in Stellenbosch, Delaire Graff Estate is the jewel of the Cape Winelands. 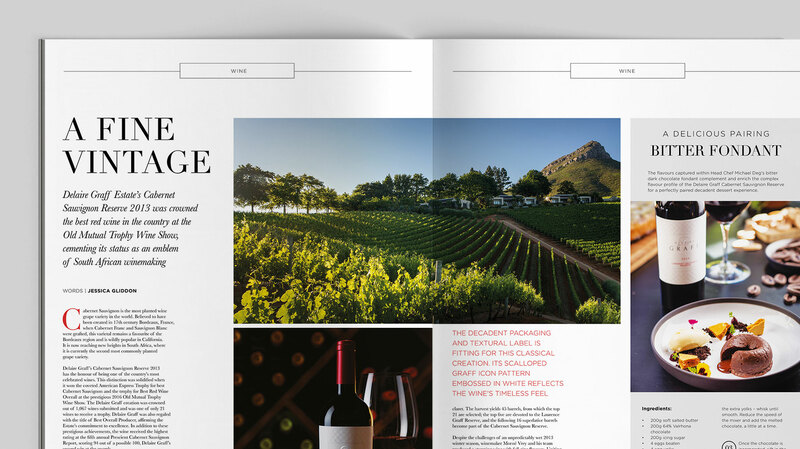 The Estate’s charming presence follows one around whether strolling through its perfectly manicured gardens, eating at the Delaire Graff Restaurant or while admiring Mr Graff’s magnificent art collection. 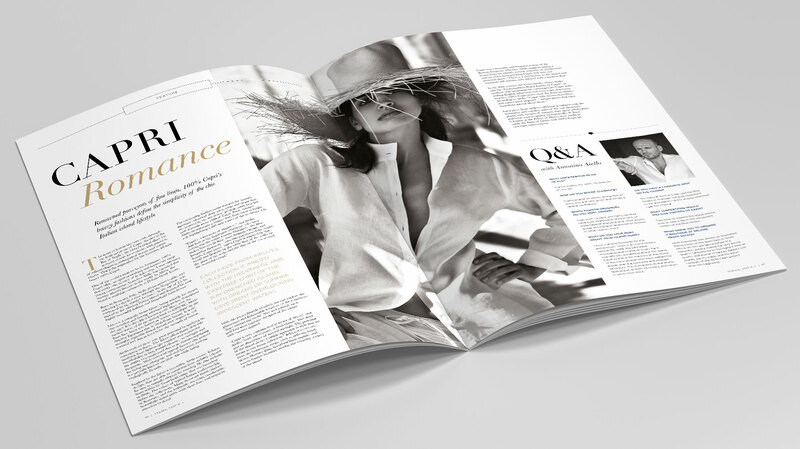 Pure Creative was commissioned to design and publish a bespoke luxury magazine, capturing the Estate’s holistic atmosphere. 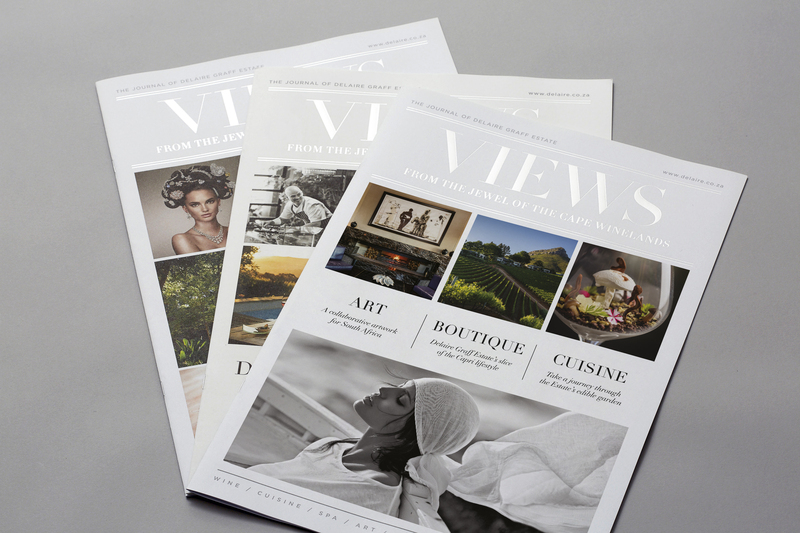 Today, we are excited to announce that issue 3 of Views is available at the estate. The issue captures the romance of Capri as an inspiration behind the brand 100% Capri. We take a closer look at the mesmerising collaborative work by Robert Hodgins, William Kentridge and Deborah Bell, Six Characters, and we feature some of Graff Diamonds’ enthralling Fancy Vivid Yellow diamonds, including the Delaire Sunrise.